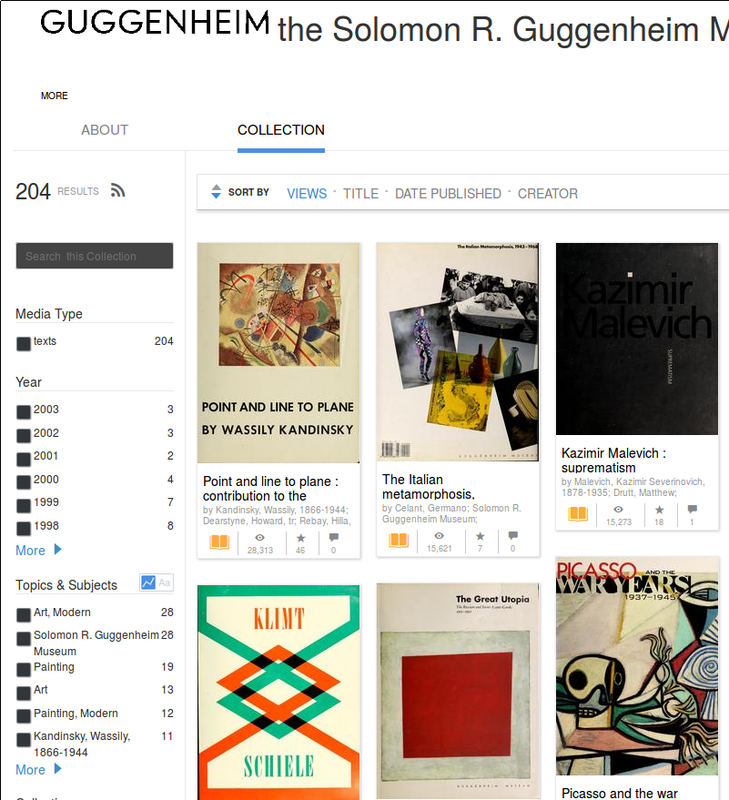 Da questa pagina potete scaricare circa 200 libri d’arte dedicati principalmente all’arte del ’900, in formato PDF o ePub. I testi sono stati messi a disposizione dal Guggenheim Museum. subito sopra c’è il bottone PDF/ePub: clicatelo, scegliete il formato e parte il download. 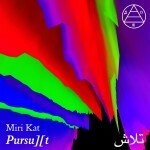 Miri Kat’s debut EP brings ephemeral collages, in turns frenetic and and lyrical, in a unique brand of glitchy grindcore for a post-Internet age. Miri’s hyperactive textures are rooted in original engineering, live-coded from found sounds with open source tools, derived from open ecosystems in both sounds and software. For Establishment, she is producing an original audiovisual edition, pairing her live visual talents with the compositional ones. The London-based artist self-described as “oriental” in origin has fast become a mainstay of the underground livecoding scene. Her day job is as an engineer of electronic musical instruments, with expertise in music tech, web technologies, hacking, creative coding, algorithmic music, immersive multimedia, and generative visuals. A new work by Ronald van der Meijs. This project is a first start for a new sound research project into the diversity of clouds, sun and wind in order to create a sort of ‘natural sequencer’ for an outside sound installation. This site specific instrument consists out of seven solar powered bass organ pipe units interacting on the brightness of the sun to control the loudness of the sound. In this way passing clouds form a natural sequencer for this installation. Each organ pipe unit is catching the wind with one of the 5 smal sails, controlled by a system of pulley wheels and counter weights for pitching the sound of each organ pipe by a moving valve. The weather conditions of the island determine how the sounds and its composition evolves as a constant changing requiem for the West Vlieland village which disappeared into the North Sea in 1736. As for this village the installation is completely handed over to the unpredictability of the weather. This plays a major part in the concept of this sound installation; one has to accept the weather conditions in al its appearances. This means that it needs sun, clouds and wind to produce a variety of sounds. So if there is no sun at all there is no sound to produce. What is left in this situation is the sound of nature itself. George Crumb è uno dei compositori che ho sempre amato. È uno dei pochi contemporanei che trovo emozionanti. Uno dei pochi che non scrivono solo ‘esercizi’ o ‘studi’. Di questo brano ho già parlato, proprio qui, più o meno 9 anni fa. 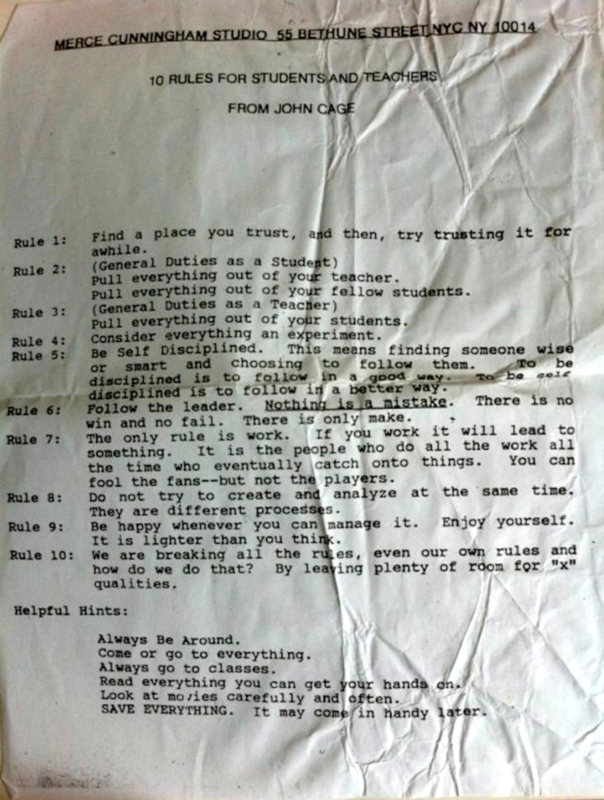 Ma allora non c’era la diffusione offerta dal libro di facce e non c’erano i video del tubo (non come adesso, almeno). Così ne approfitto per rimettere qualcosa, questa volta con il video dell’esecuzione e note dell’autore. Zeitgeist (Six Tableaux for Two Amplified Pianos, Book I) was composed in 1987. The work was commissioned by the European piano-duo team of Peter Degenhardt and Fuat Kent, who subsequently gave the premiere performance at the Charles Ives Festival in Duisburg, Germany on January 17, 1988. Zeitgeist was extensively revised after this initial performance. The title seemed to me especially appropriate since the work does, I feel, touch on various concerns which permeate our late-twentieth century musical sensibility. Among these, I would cite: the quest for a new kind of musical primitivism: (a “morning of the world” vision of the elemental forms and forces of nature once again finding resonance in our music); an obsession with more minimalistic (or at least, more simple and direct) modes of expression; the desire to reconcile and synthesize the rich heritage of our classical Western music with the wonderfully vibrant ethnic and classical musics of the non-Western world; and, finally, our intense involvement with acoustical phenomena and the bewitching appeal of timbre as a potentially structural element. In many of its aspects—compositional technique, exploitation of “extended-piano” resources, and emphasis on poetic content—Zeitgeist draws heavily from my earlier piano compositions, especially the larger works of my Makrokosmos cycle (Music for a Summer Evening  for two amplified pianos and percussion, and Celestial Mechanics [1979J for amplified piano, four-hands). The opening movement of Zeitgeist, entitled Portent, is based primarily on six-tone chordal structures and a rhythmically incisive thematic element. The music offers extreme contrasts in register and dynamics. A very characteristic sound in the piece is a mysterious glissando effect achieved by sliding a glass tumbler along the strings of the piano while the keys are being struck. The second movement—Two Harlequins—is extremely vivacious and whimsical. The music is full of mercurial changes of mood and comical non sequiturs. Although this piece is played entirely on the keyboard, an echoing ambiance resonates throughout. Monochord (which in the score is notated in a symbolic circular manner) is based entirely on the first 15 overtones of a low B-flat. A continuous droning sound (produced alternately by the two pianists) underlies the whole piece. This uncanny effect, produced by a rapid oscillating movement of the fingertip in direct contact with the string, results in a veritable rainbow of partial tones. In addition, paper strips placed over the lower ten strings of each piano produce an almost sizzling effect. The title of the fourth movement —Day of the Comet— was suggested by the recent advent of Halley’s comet (the previous visitation was commemorated by H. G. Wells in his science fiction novel of the same title). The piece, played at prestissimo tempo and consisting of polyrhythmic bands of chromatic clusters, is volatile, yet strangely immaterial. Perhaps Debussy’s Feux d’artifice (Preludes, Book II) is the spiritual progenitor of this genre of composition. 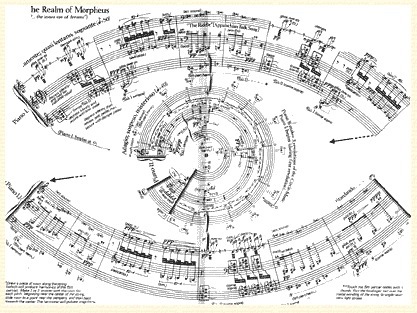 The fifth movement —The Realm of Morpheus— is like Monochord symbolically notated. The bent staves take on the perceptible configuration of the human eye (“...the inner eye of dreams”). Each of the two pianists plays independently, and the combined musics express something shadowy and ill-defined—like the mysterious subliminal images which appear in dreams. Disembodied fragments of an Appalachian folk-song (“The Riddle”) emerge and recede. The concluding movement of the work —Reverberations— recalls the principal thematic and harmonic elements of the first movement. This piece is constructed in its entirety on the “echoing phenomenon”—that most ancient of musical devices. Avatar is video for a dance performance that conveys the formation of the human body into the avatar on the computer screen while it is inprocess of questionning it . Avatar exposes some occasions such as “loading” and “Disconnected” through its own way, while using the internet . 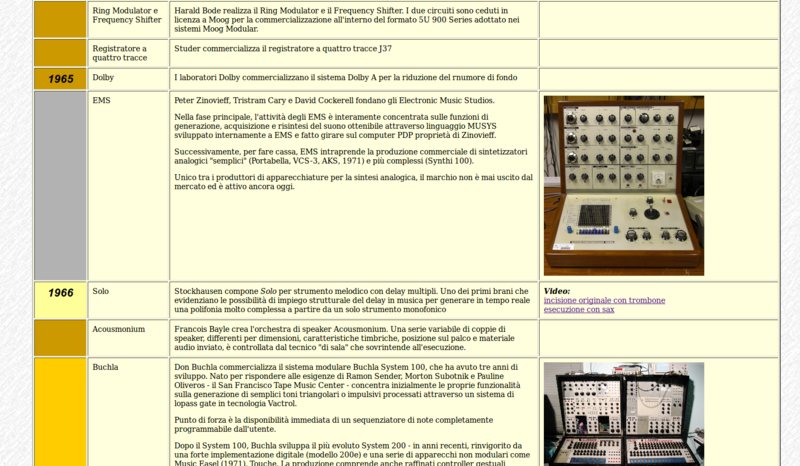 Ho finalmente aggiornato la pagina dedicata alla Cronologia della Tecnologia Audio e della Musica Elettroacustica. Mancano ancora un po’ di cose, comunque è quasi completa e consultabile, con molte immagini, link di approfondimento e link per ascoltare via You Tube le composizioni citate. 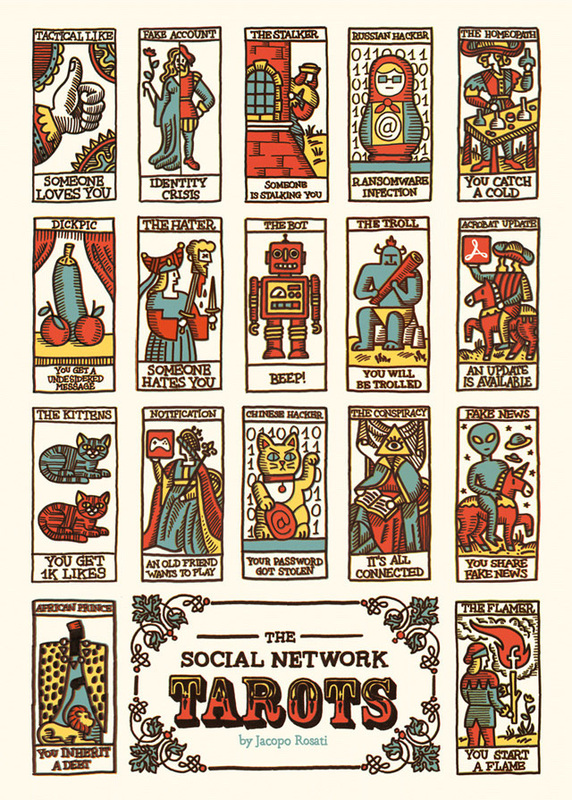 Italian artist Jacopo Rosati created a series of tarots images inspired by the social networks experience. 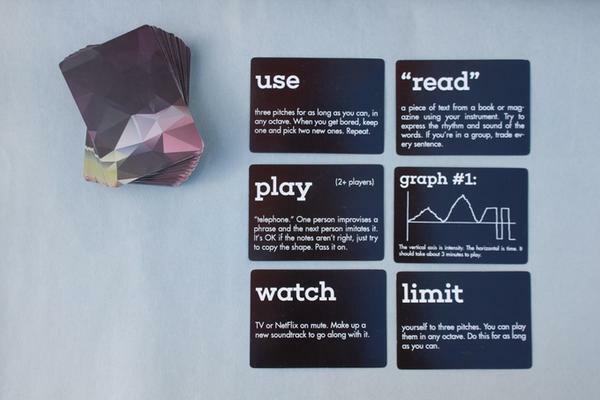 So you can get the Fake News card, the Conspiracy (It’s all connected), the Russian Hacker (ransomware infection) or Chinese (your password got stolen).